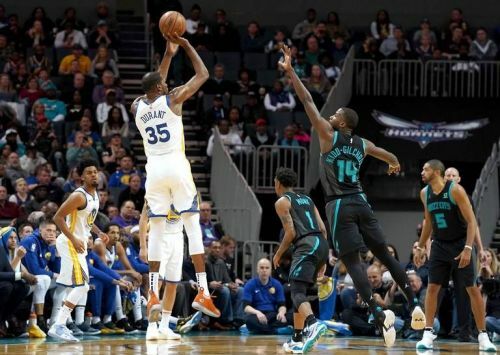 The Golden State Warriors suffered a tough 6-point loss at home against the Houston Rockets and were in Charlotte for a game against the Hornets at the Spectrum Center. The Hornets also suffered a close two-point loss against the Brooklyn Nets in their last game. The Hornets entered this game as a team that was at the eighth spot in Eastern Conference, struggling to make it to the playoffs. It was a well-fought affair but the Warriors never really looked uncomfortable and registered an easy victory. This was their first matchup this season and will meet once again for a game, in Golden State. Klay Thompson was the top-scorer for the Warriors with 26 points on 11-for-19 shooting. Cody Zeller led the team in scoring for the Hornets with career-high 28 points. Let us take a look at the three talking points from the Warriors' win in Charlotte. Stephen Curry had a bad shooting night as he went just 5-for-18 from the field, including his 4-for-14 from the three-point line. However, Curry used his playmaking skills and the vision to still find ways to help the Warriors to victory. The Hornets did a great job of not letting Curry taking wide open three-pointers as he forced a lot of his shots. 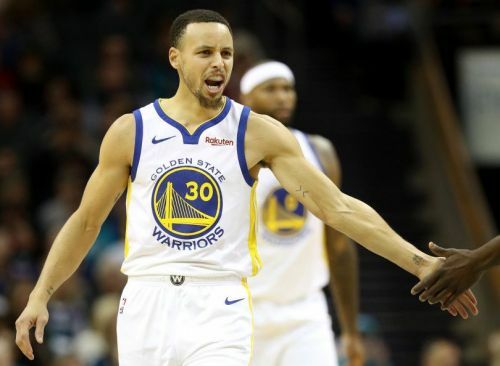 Particularly in the first quarter, Curry only scored one point in the entire first quarter after failing to convert a couple of his attempted three-pointers. Curry is averaging 28.7 points, 5.2 rebounds and 5.2 assists per game on 48.9 % shooting this year.